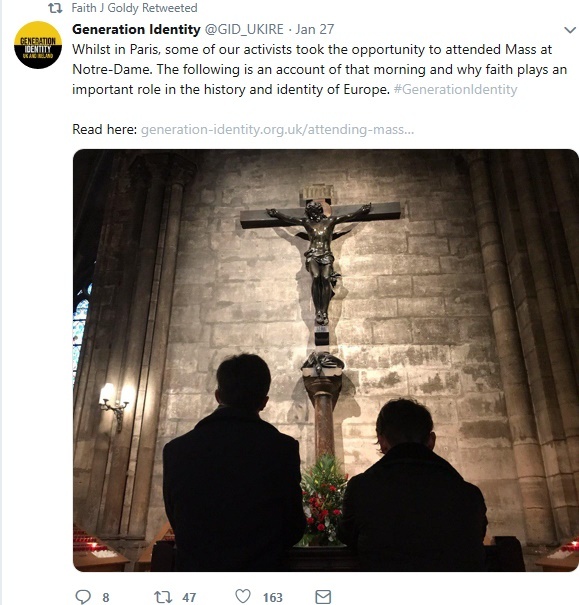 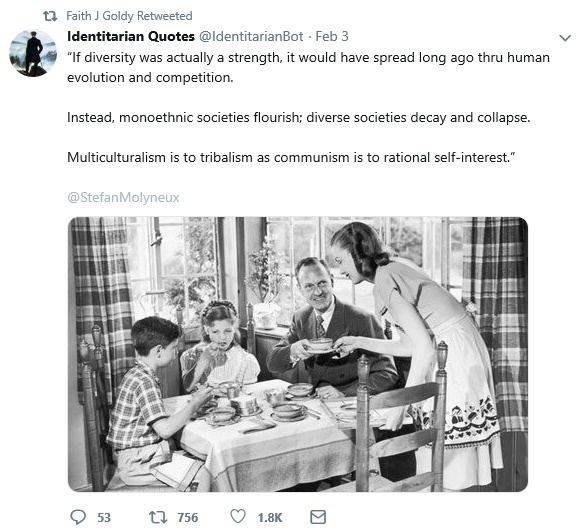 Generation Identity is a racist movement that calls for ‘ethnopluralism’, which in practice means separating and segregating people along racial lines. 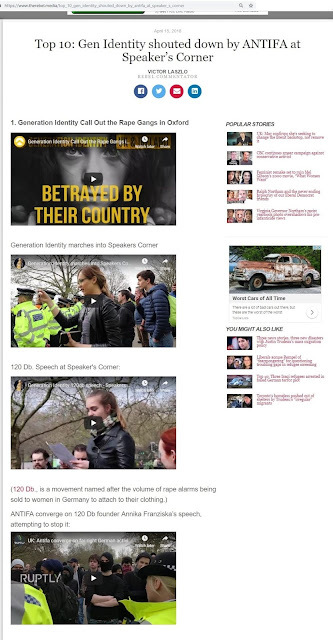 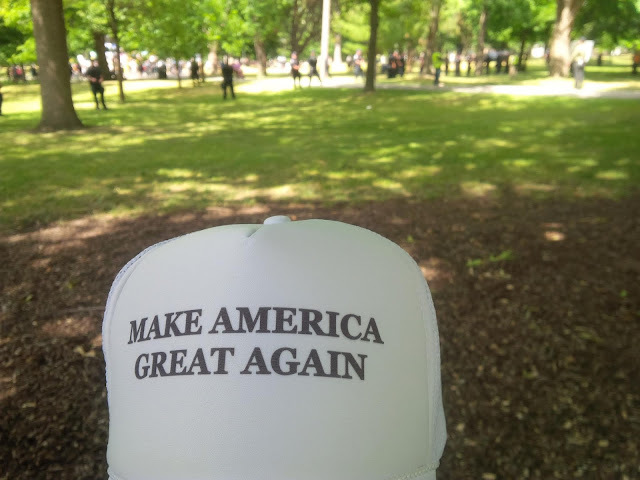 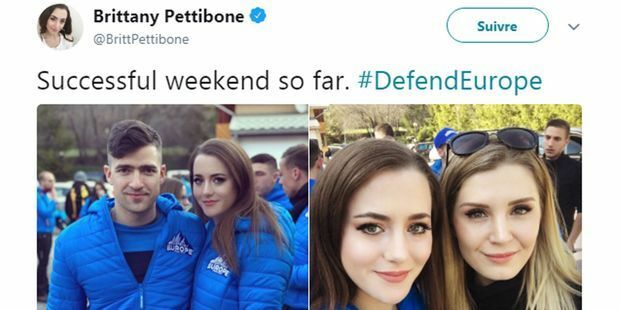 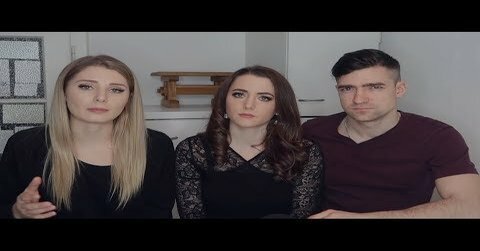 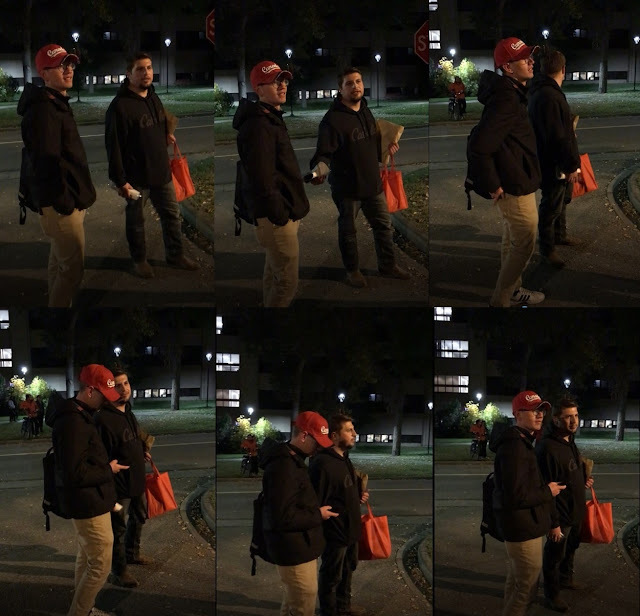 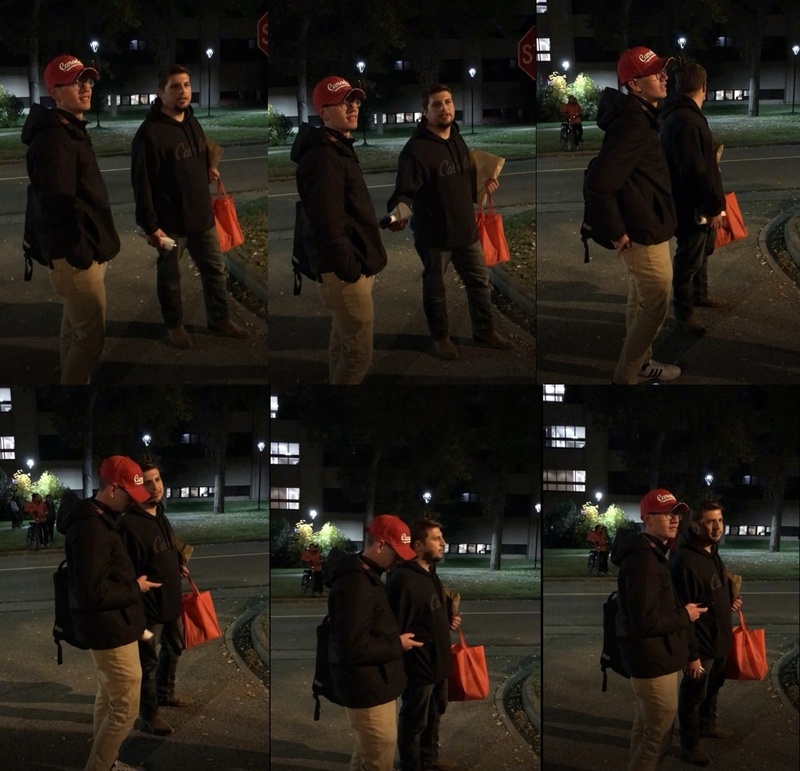 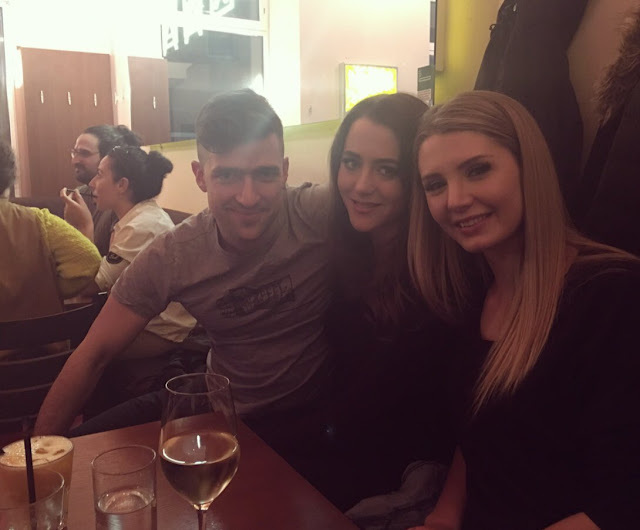 By the way, there will be more information included about Generation Identity leader Martin Sellner and his partner Brittany Pettibone later in the article. 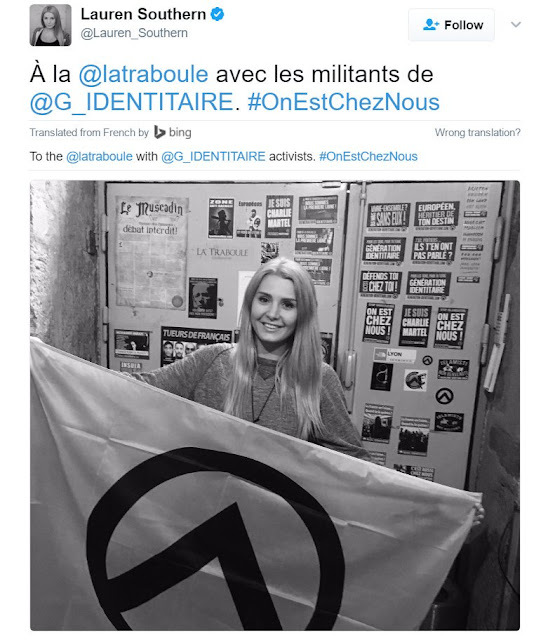 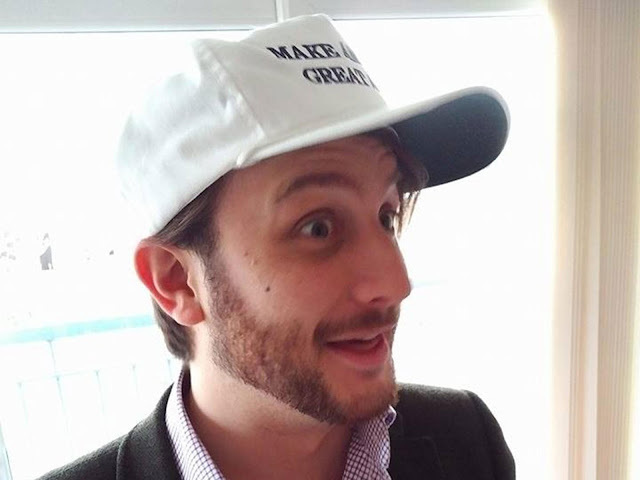 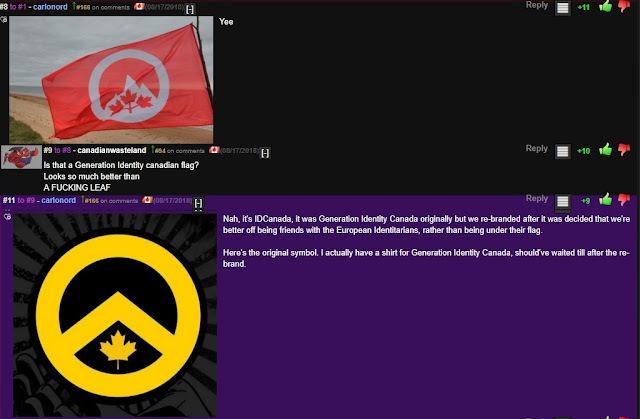 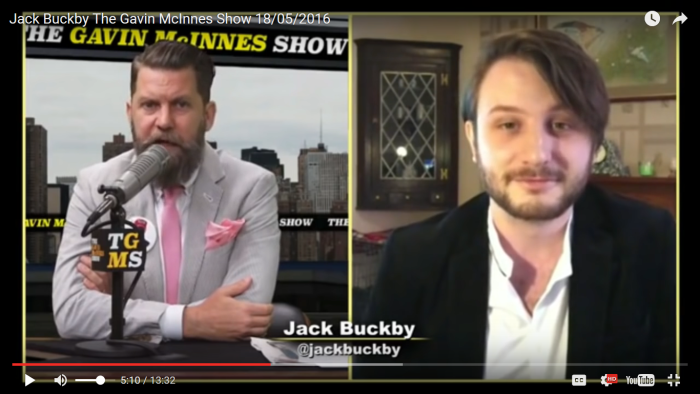 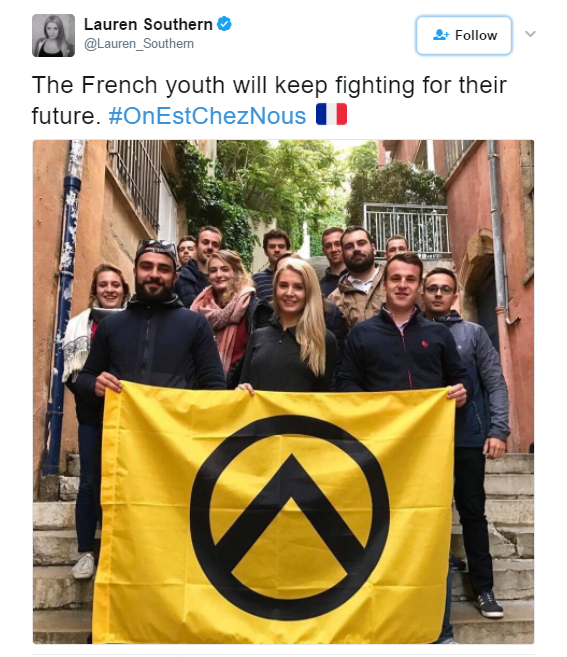 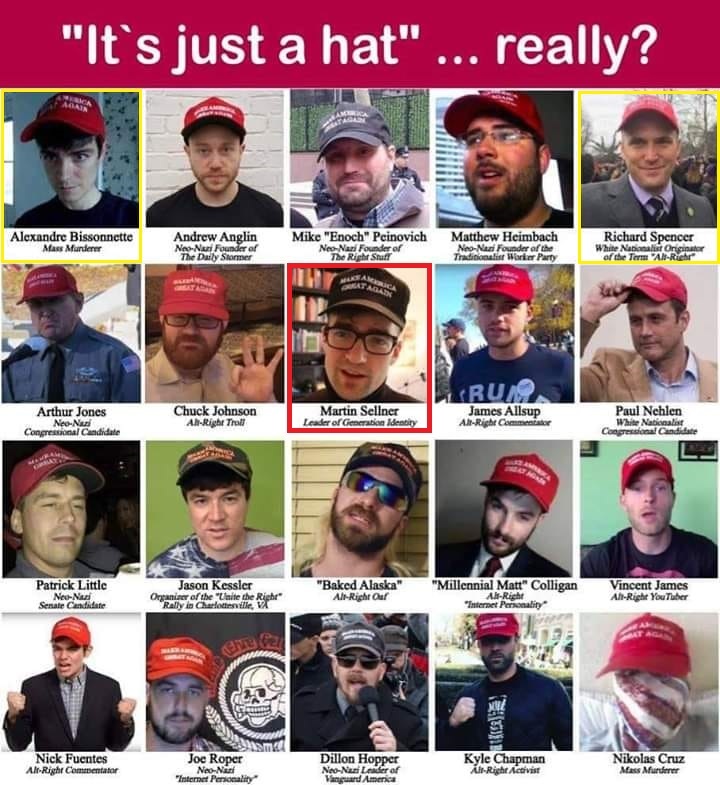 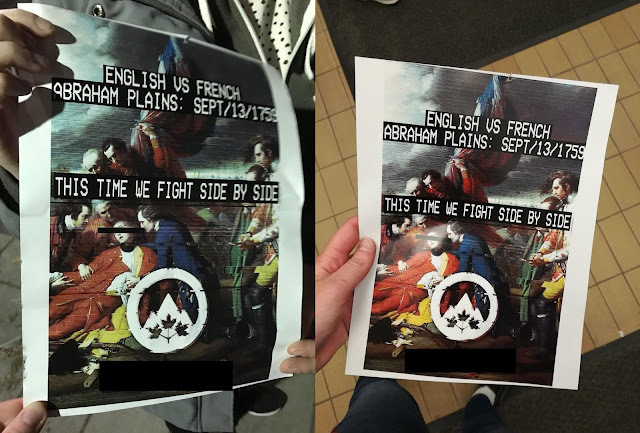 There are however three other individuals whose connection to the identitarian cause is of more relevant significance. 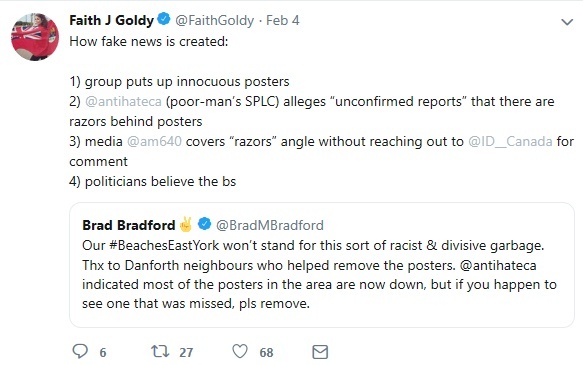 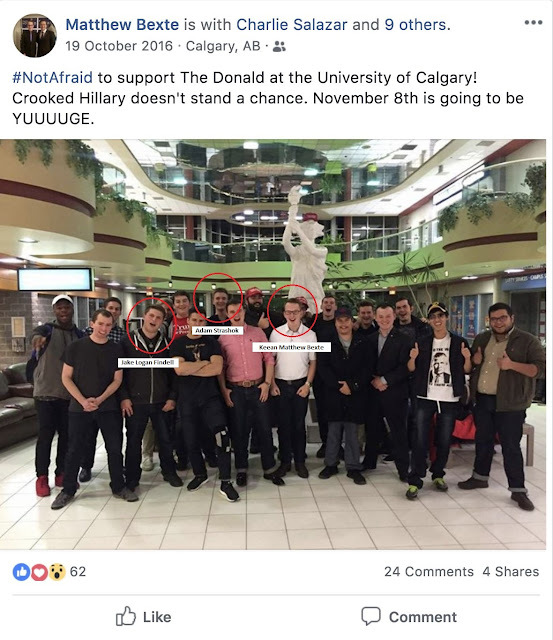 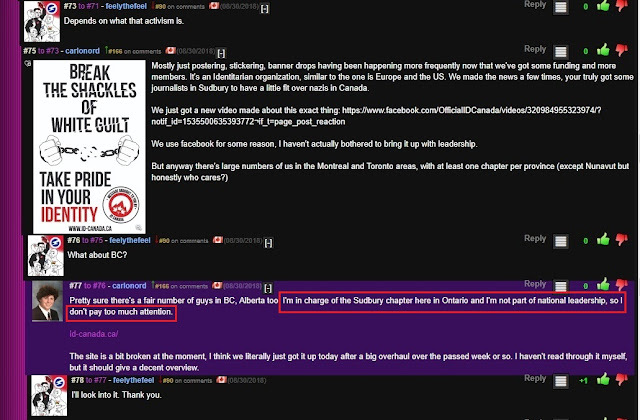 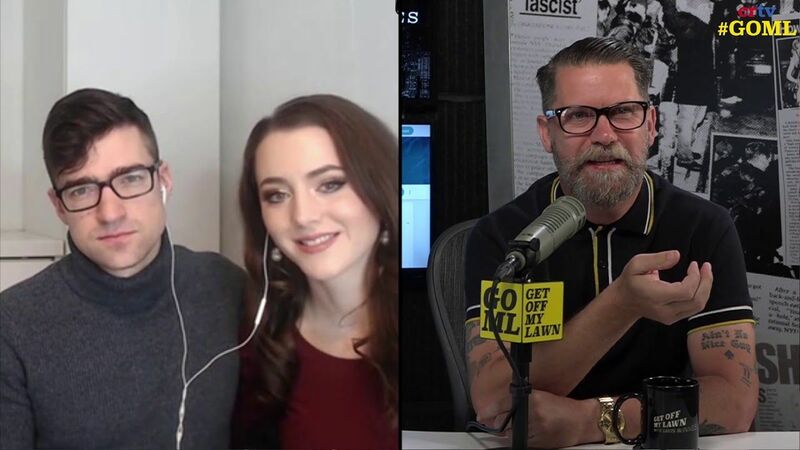 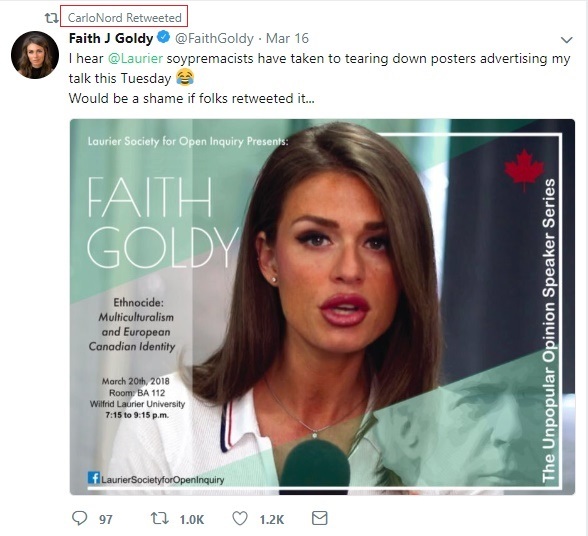 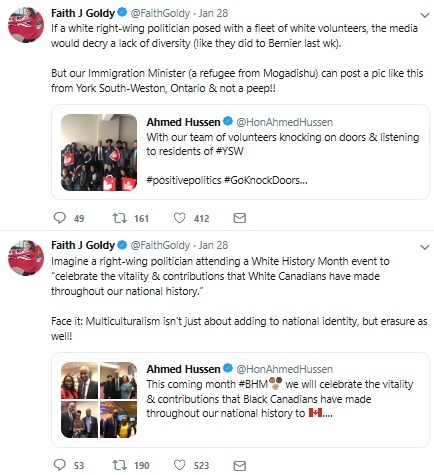 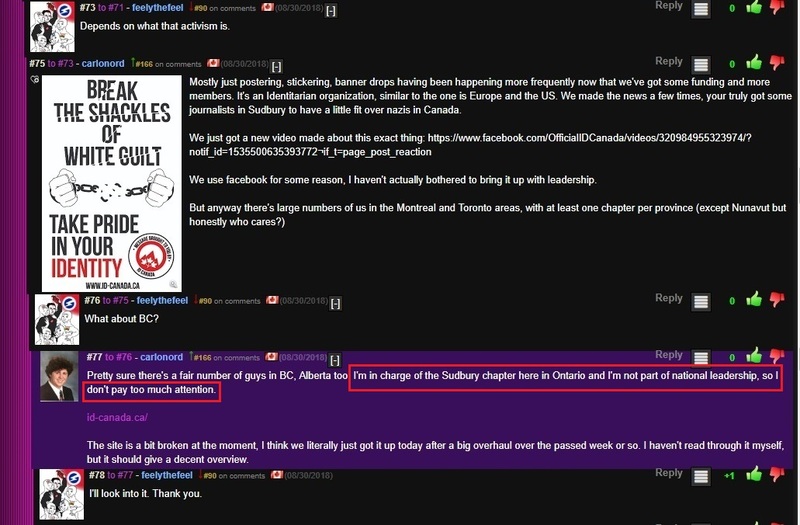 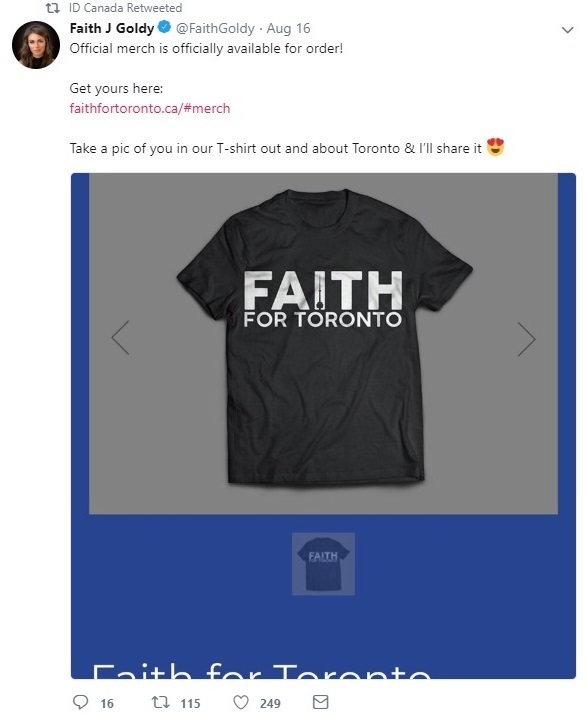 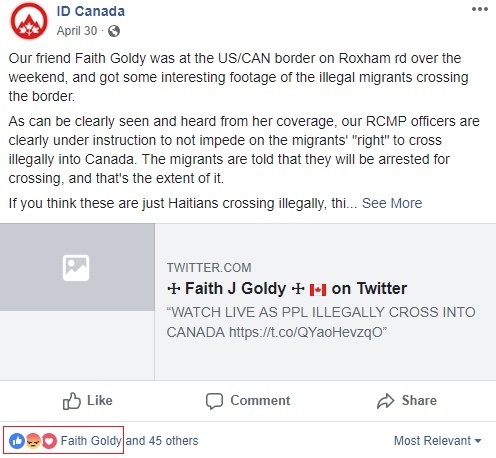 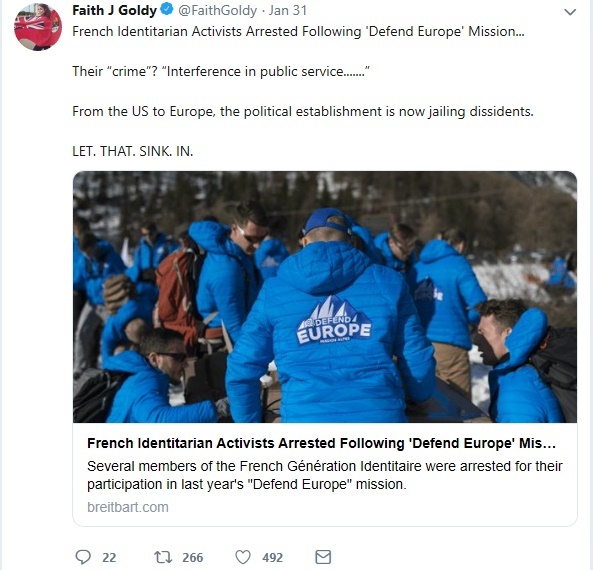 Two of those individuals, Faith Goldy and Lauren Southern, are former Rebel Media personalities who have been extensively discussed on the blog already. 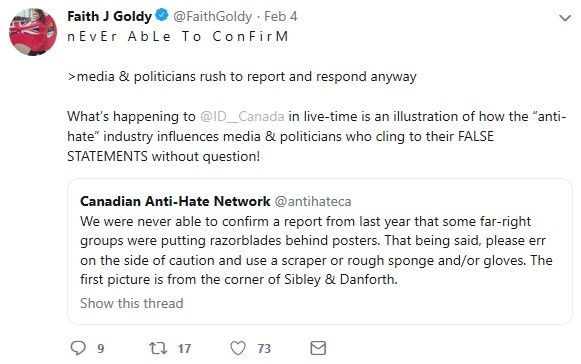 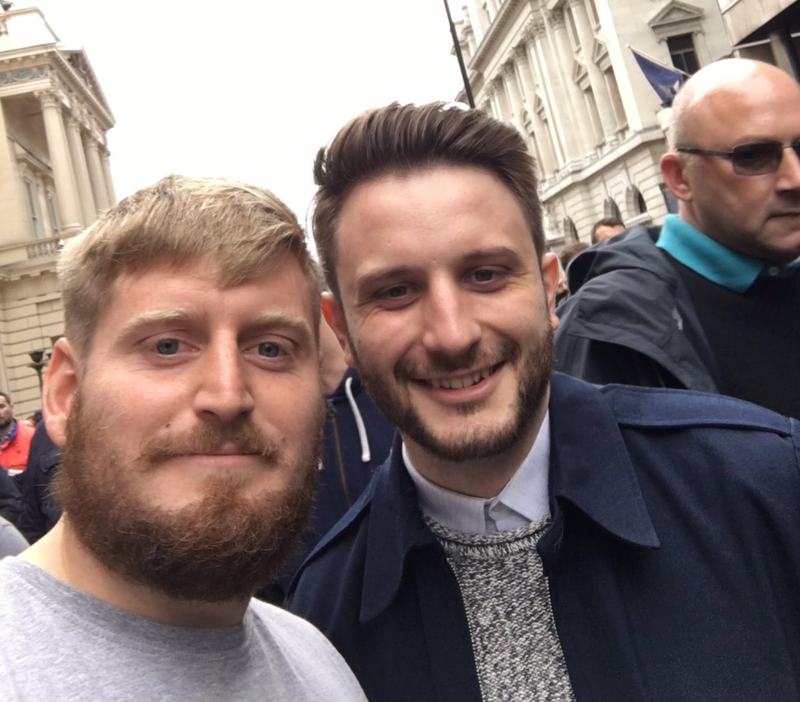 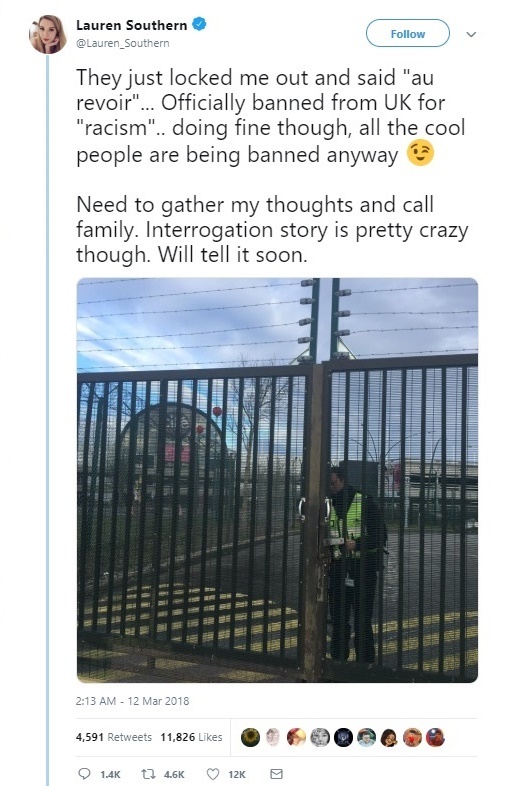 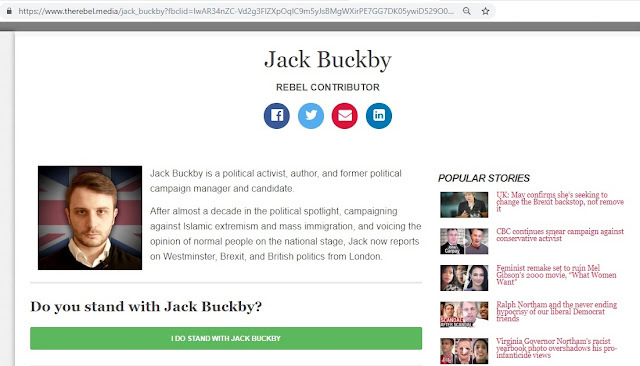 The third is a current contributor who I have never discussed and am currently kicking myself for having failed to note his involvement with Rebel Media since a former member of the racist British Nationalist Party should have been on my radar. 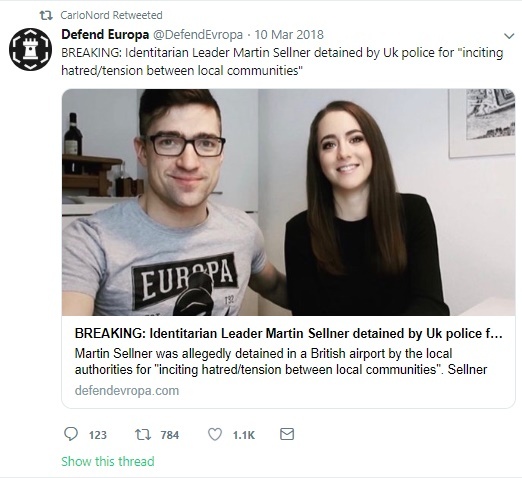 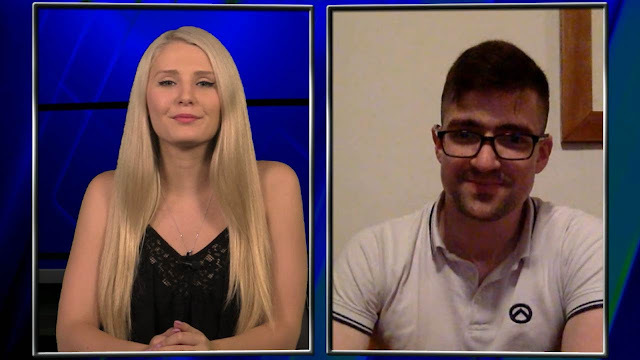 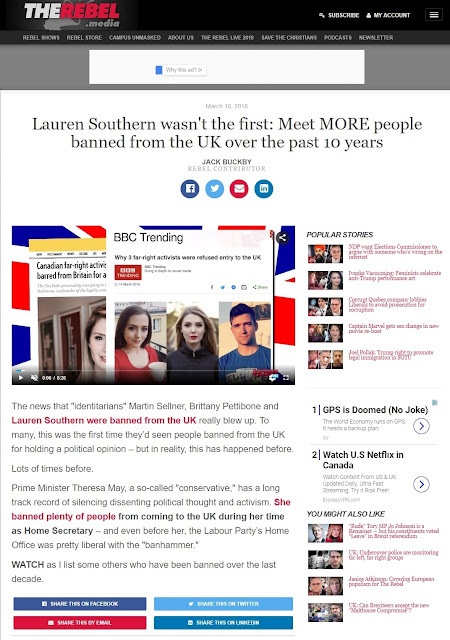 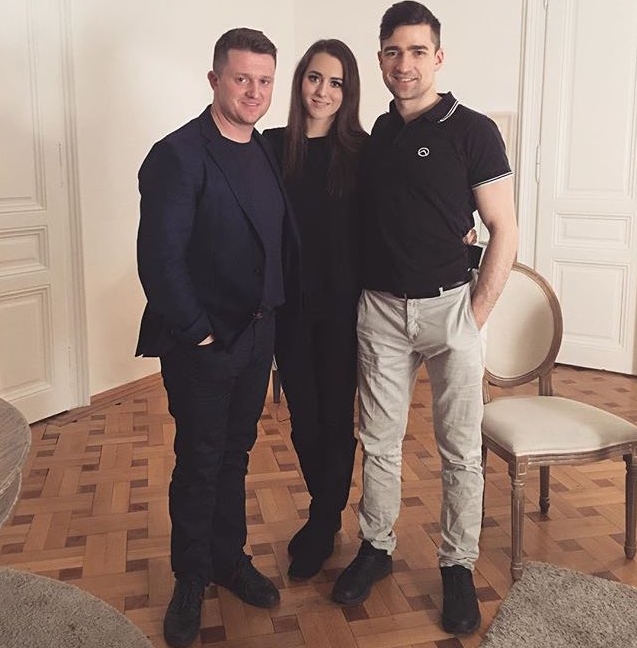 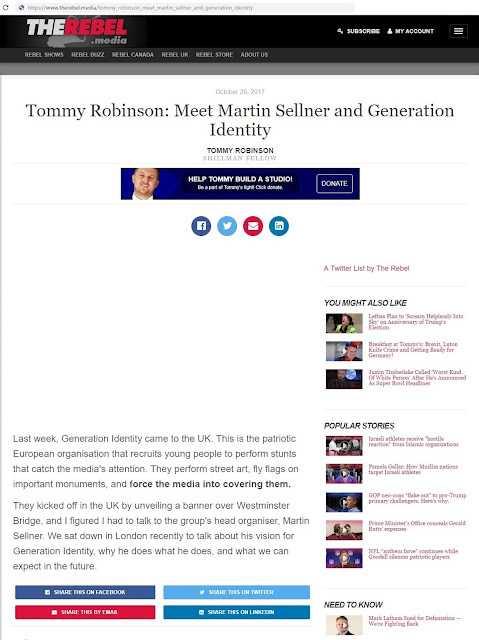 Southern is friends with Martin Sellner (and his partner Brittany Pettibone), the Austrian leader leader and founder of Generation Identity. 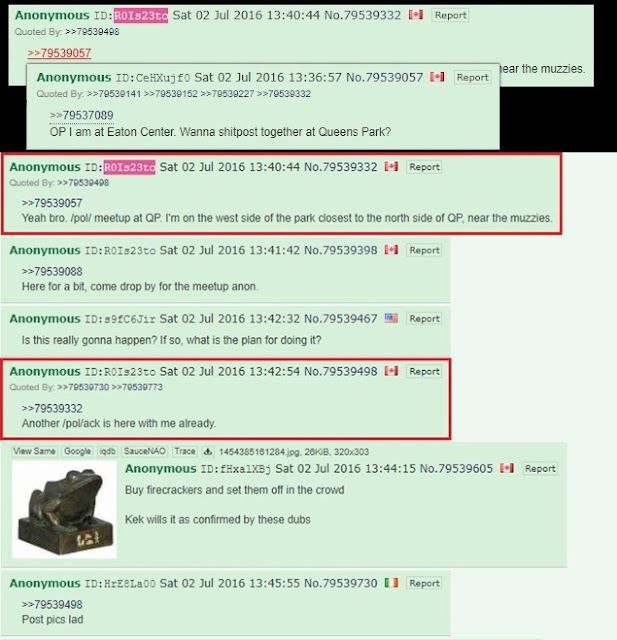 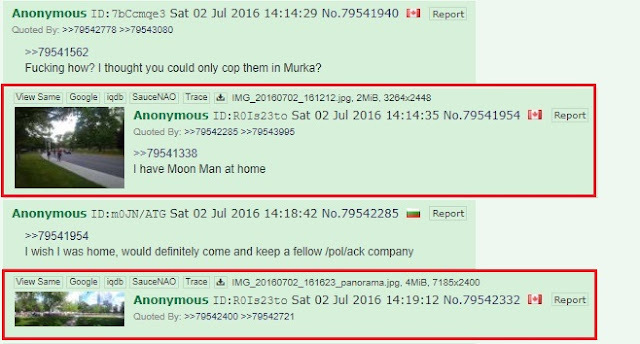 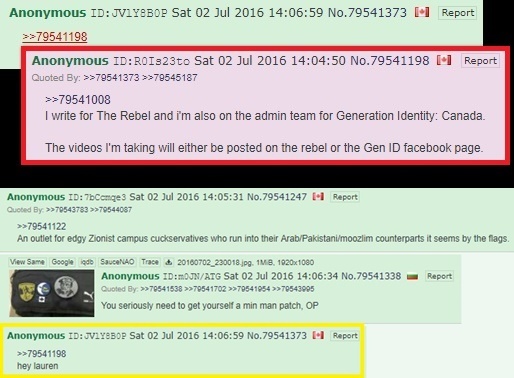 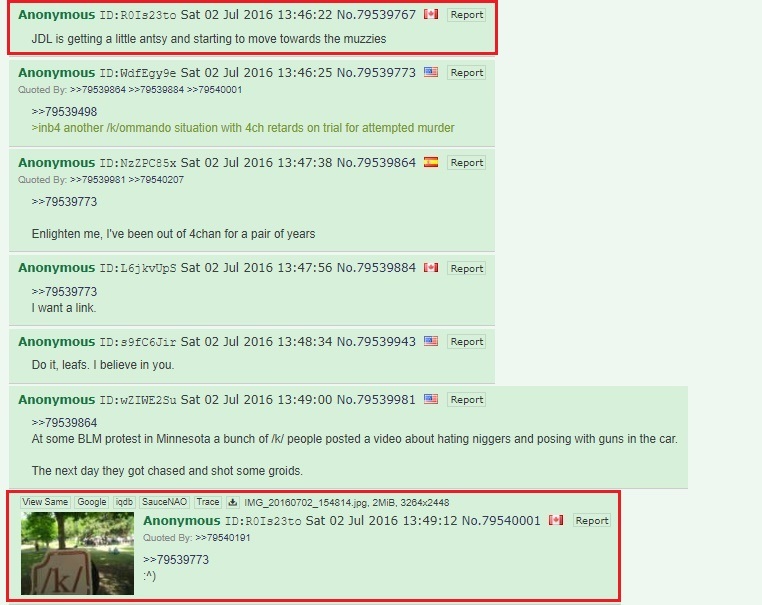 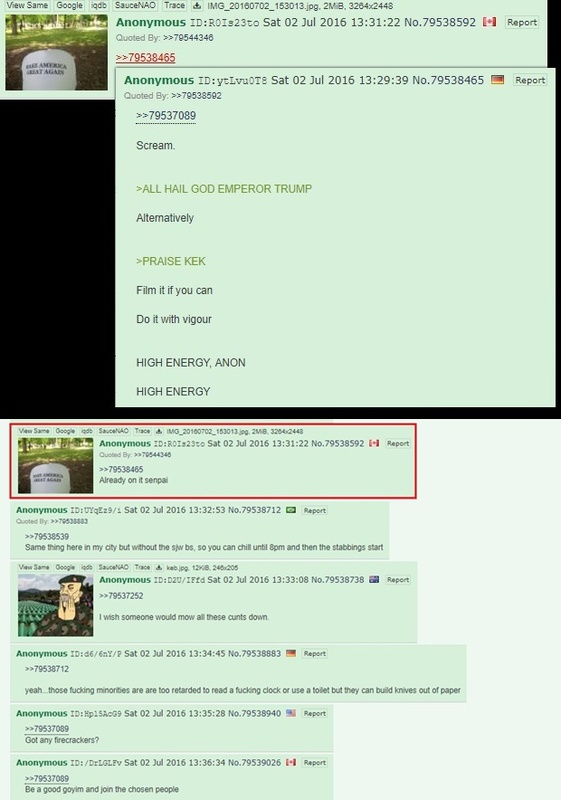 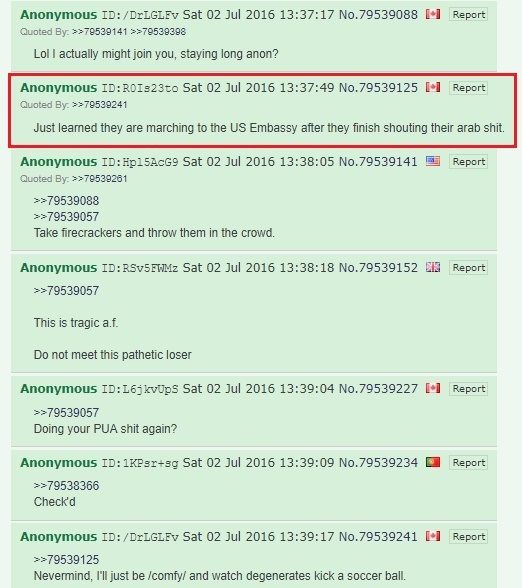 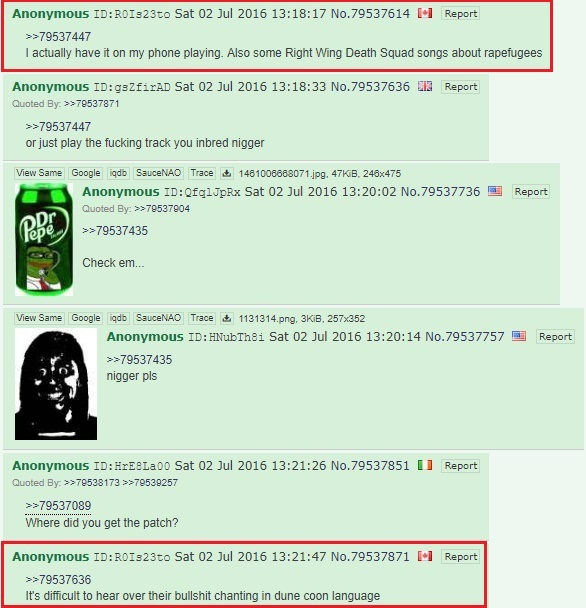 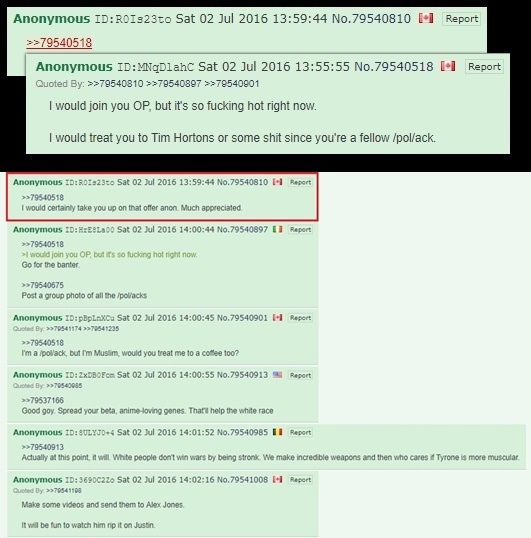 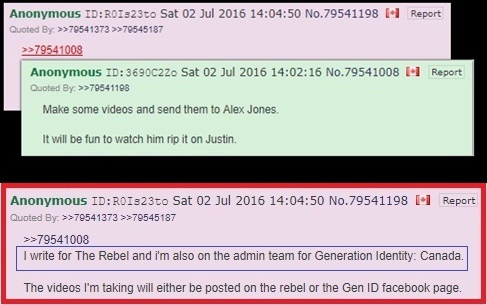 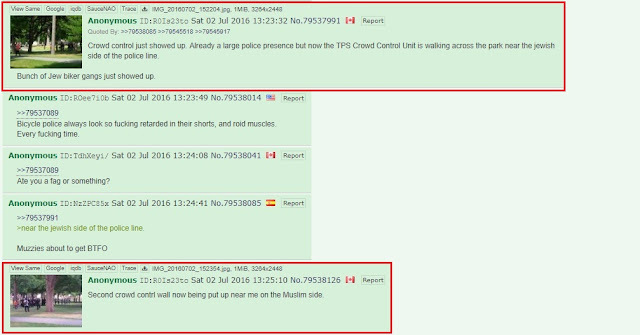 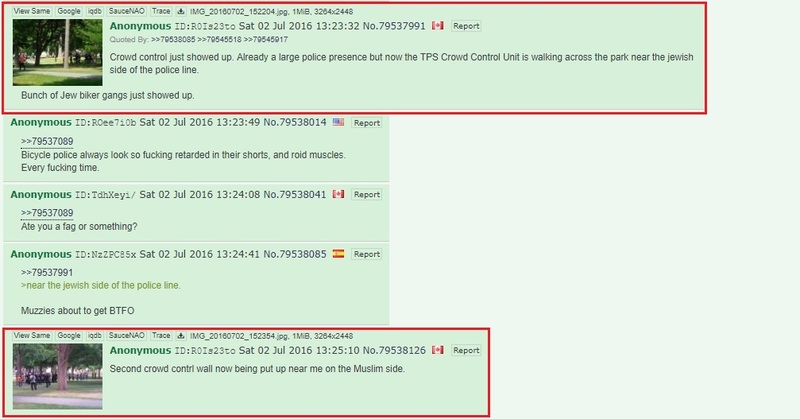 I on the other hand however am less confident that the 4chan user in question is Lauren Southern. 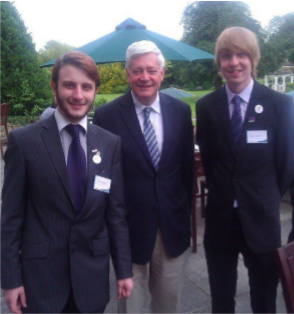 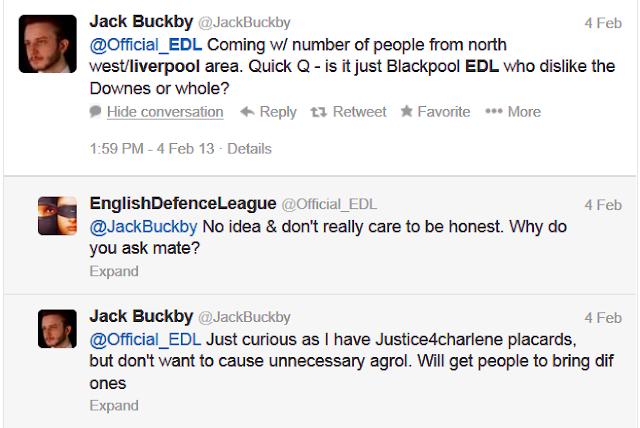 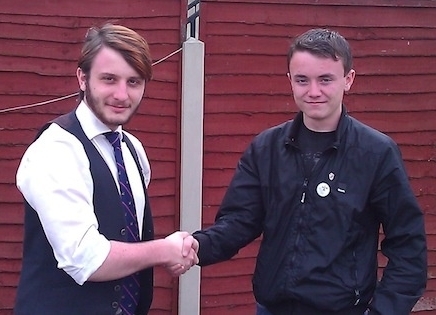 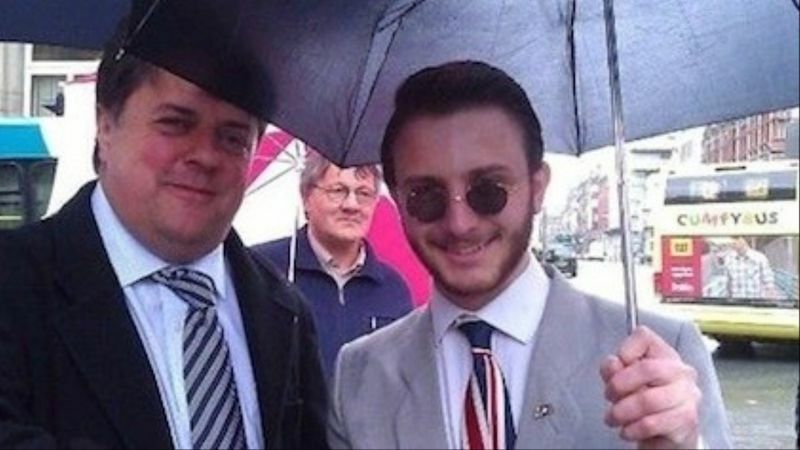 Buckby claimed to have left the BNP when he realized they were racist which must have been a real "knock me over with a feather" moment since the BNP was founded in 1982 and already had a long history of courting racists, Islamophobes, and antisemites before Buckby was born 11 years later. 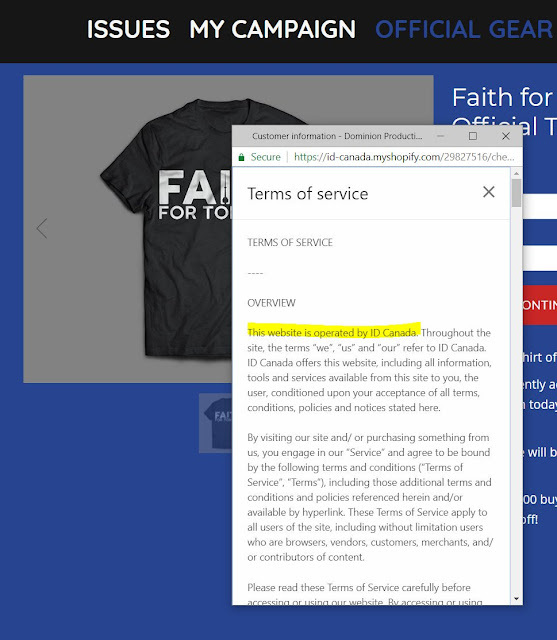 At a certain point, one has to wonder if this is a feature and not a bug. 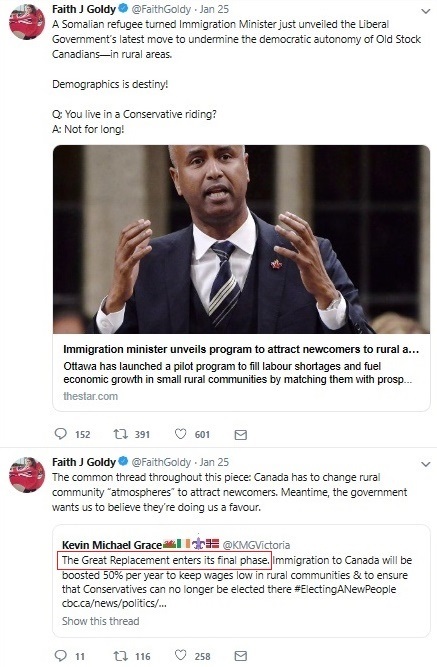 And the corporate Pravda North media continues to sleep on the job by not hammering Scheer on his connections to Rebel through Hamish Marshall. 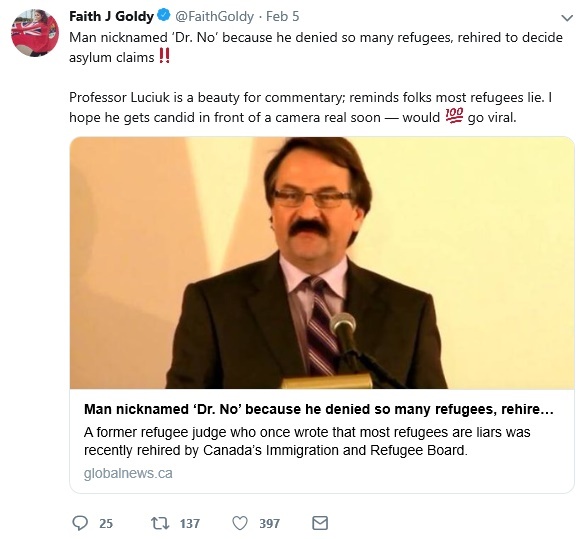 Bernier isn't the only far-right kook. 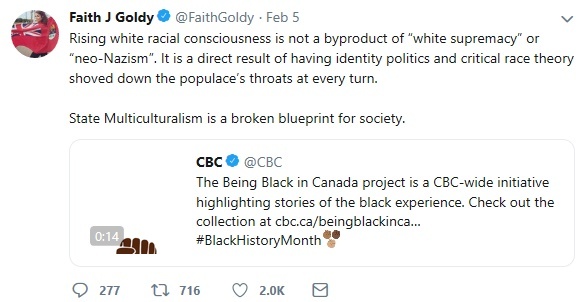 The mainstream Conservatives have been entryists since Harper demolished the PCs. 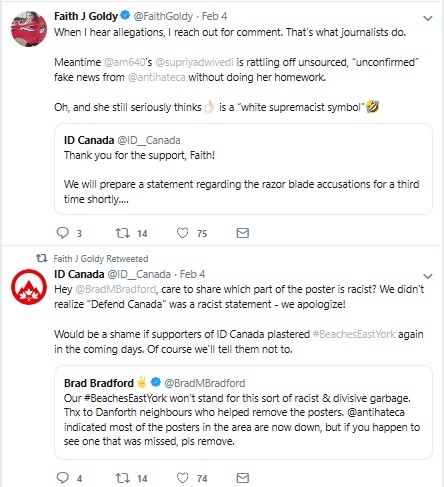 Scheer has proven he's a nasty piece of work, but the soundbite purveyors would rather obsess about -- and even make up stuff about -- Trudeau. 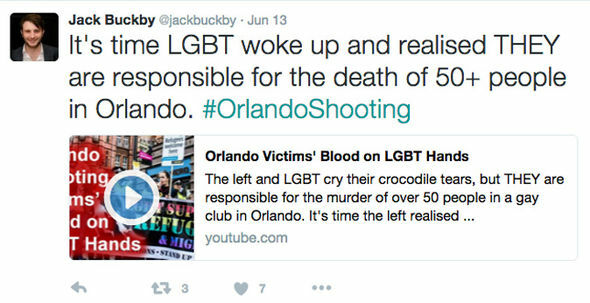 I only hope both parties split the bigot vote and destroy each other in the process. 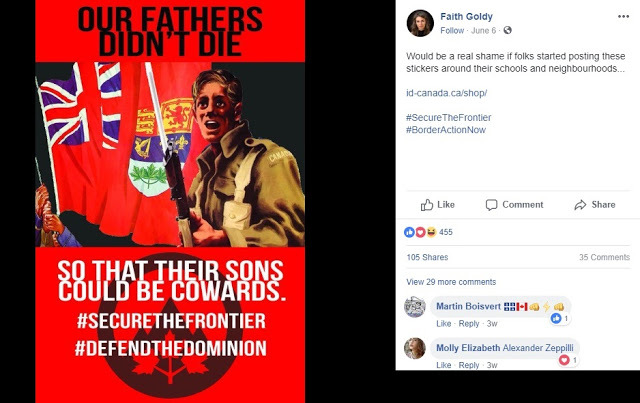 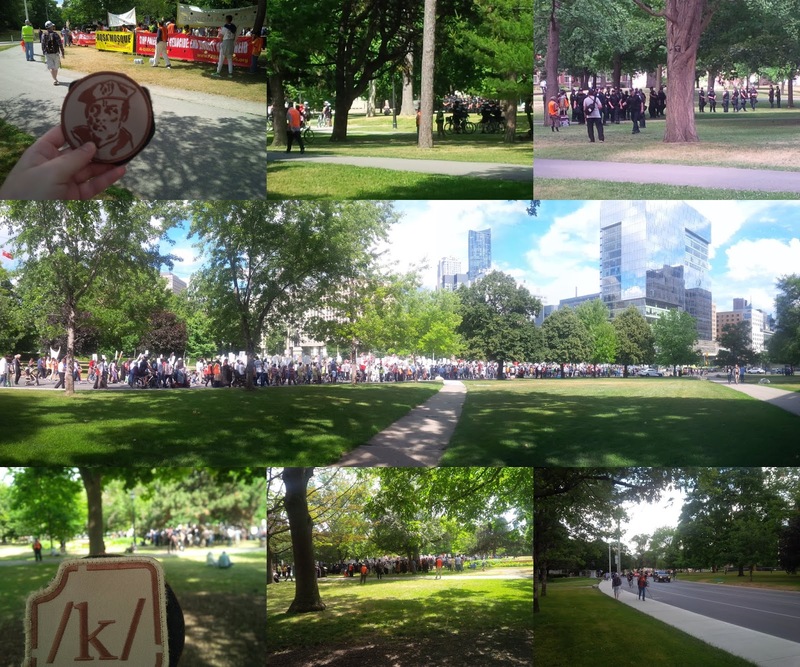 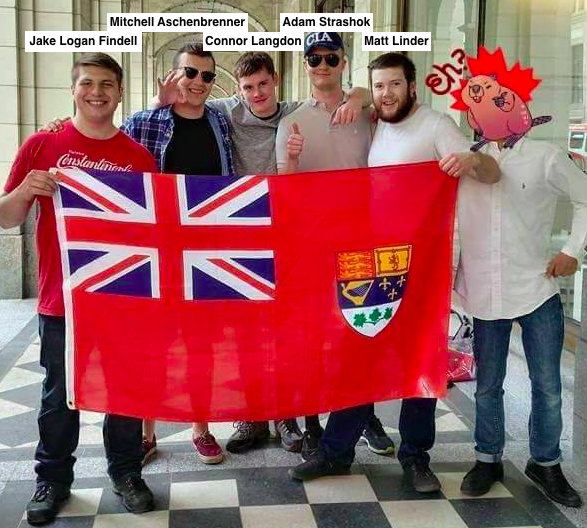 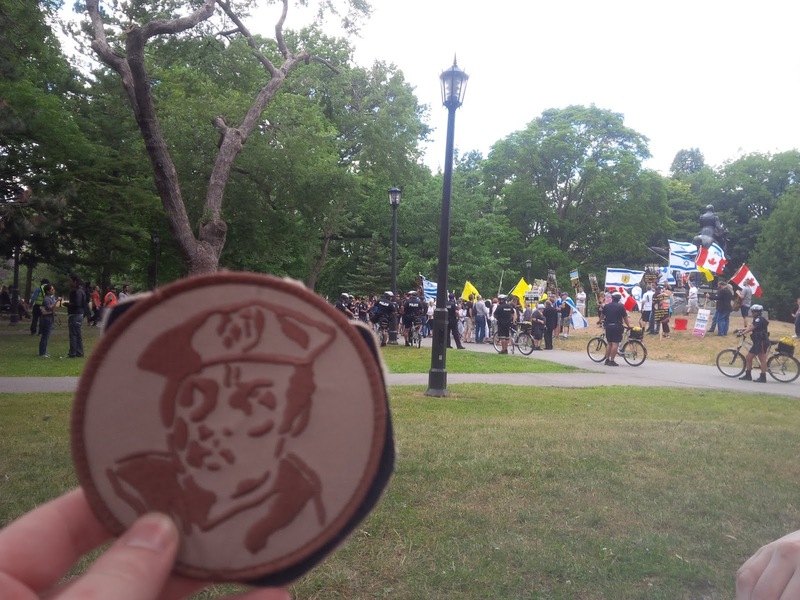 The fact remains that this normalization of unapologetic white supremacism in Canada's political process is a problem that still needs to be dealt with even if they lose in the fall.